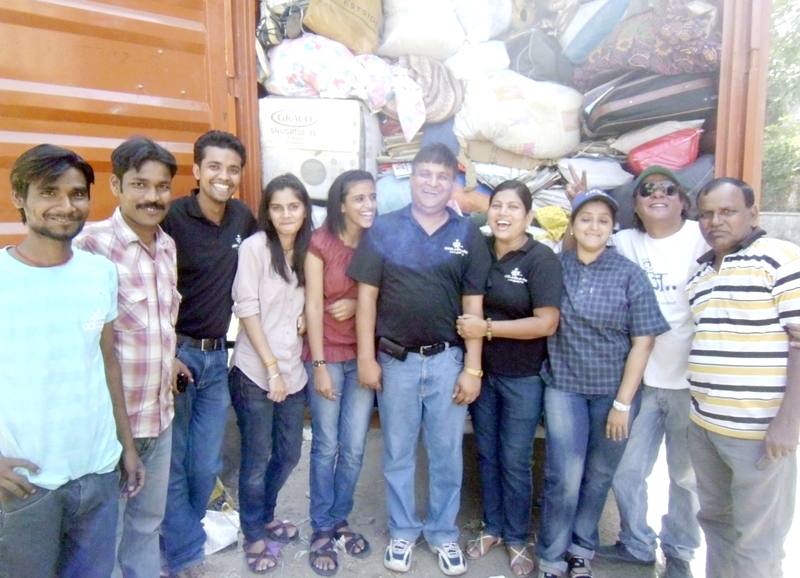 GOONJ thank Dwarkaites for their overwhelming response, contribution and generous support in the 2 collection camps held in Dwarka on 2nd October, 2012 and 7th October 2012 in sector 10 and sector 23 respectively. Material of more than 3 trucks was collected during the afore-said camps. Material includes Wearable old/new clothes (washed), footwear, utensils, Bed-sheets, dry ration, sewing machine, medicines, spectacles, umbrellas, school material, uniforms, lunch box, stationary, books, old cycle, toys, games, old audio/video cassette, old newspapers, magazines, one sided used sheets, desktop/laptop (working) etc.. Attached pls find some snaps of the collection camp. Cloth for Work – Villagers get clothes as motivation for initiating development activities in their own area. School to School– Sensitizing urban schools to the educational needs of their counterparts in remote village schools. Channelizing school material from one end to the other by building a long term relationship among them. Not Just a piece of cloth– Turning old cotton cloth into sanitary napkins for women in slums and villages. Rahat– Reaching relief and supporting victims of natural and manmade disasters (flood, earth quakes etc). Recycling: a step ahead – Making notebooks, school bags, skipping ropes, balls, sitting mats, bottle bags etc. from waste paper, cloth & audio tapes. A Tribute To Apple Founder & To Global Change Makers ! Developing LIFE SKILLS in young learners!